India took military action at eight terrorist launch-pads across the LOC in Pakistan Occupied Kashmir (POK). India chose to tag the attack as a ‘surgical strike’, thus, implying the remedial nature of its action. 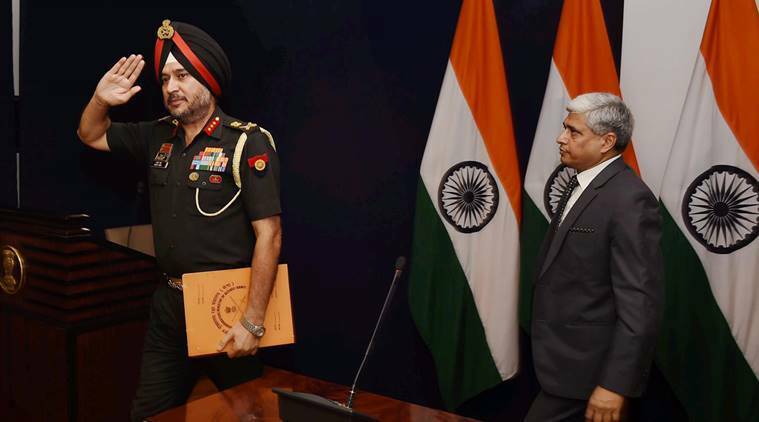 It is to be noted that India in its official announcement did not deem it to be an act in retaliation to the Uri attacks but a military measure against the increasing incursions by non-state actors in the territory of India. To look at the act from a layman’s point of view in light of prevalent international notions of territorial sovereignty, war, and military action, it seems to be a deliberate attempt of entering the territory of another state and carrying out targeted killings. Now that Pakistan has not owned up to it, that is, it has blatantly denied that any such measure was taken by the Indian army, it has reduced the measure to a general ceasefire violation, which is not uncommon in the region. Also, it means that the repercussions bilaterally will not be unforeseeable or grave. But, since top Indian officials have endorsed the act it comes under the purview of state practice under international law from India’s end. This calls for a pertinent question, whether India’s surgical strike was legal under international law? To start off, the area in this regard is greyer than any of the 50 shades that can be considered to have existed between States which have had a similar relationship under International Law. There is no particular international agreement or any UN resolution which addresses such acts, let alone directly denounce or allow for it. But there are in particular three resolutions which when interpreted astutely do provide some legal basis to such ‘targeted killings’ under international law. These are UNGA Resolution 2625 (1970) (Friendly Relations Declaration), UNSC Resolution 1189 (1998), UNSC Resolution 1373 (2001). The discussion can obviously go beyond these resolutions depending on considerations such as if these acts are tagged as ‘acts of aggression’, if aggression has to be dynamically defined, or if we go into the territory of targeted killings under international law by State Actors of internationally condemned non-state actors, or if the usage of drones is accounted for. Therefore, for the purposes of this article we shall be limited to usage of force by a State against non-state actors trying to impede impending harm. UNGA Resolution 2625 comes into play in this case on a presumptuous basis, that it is Pakistan as a State which has been tacitly assisting the terrorists to commit violence in India. This is what India alleges on Pakistan, an allegation which now has some force internationally after the bill ‘Pakistan State Sponsor of Terrorism Designation Act’ (HR 6069) was tabled in the U.S. Congress, how Osama was found to be residing in Abbottabad, and how Pakistan has been invariably linked to terrorist attacks in India time and again. UNSC Resolution 1189 specifically deals with international terrorism, whereas UNGA 2625 was a resolution which imposed a positive duty on States by defining aggression and their positive obligations with respect to it. Resolution 1189 stresses the need to effectively deal with international terrorism, and also stresses on the need to combat and eliminate such criminal acts (Obviously after euphemistically stating the need for international cooperation on the same). It is UNSC Resolution 1373 which is the main protagonist of this discussion. Resolution 1373 was adopted after 9/11 attacks, furthering the condemnation of the 9/11 attacks in UNSC Resolution 1368. Res. 1373 emphasised on all aspects of international terrorism, be it financing such acts, providing safe heaven to terrorists, movement of terrorists across borders. This resolution also recognised the ‘inherent right’ of self-defence, which was also recognised in Resolution 1368, which was with respect to 9/11 attacks. There were other subsequent legal and political developments which succeeded this resolution which lead to the US declaring a war on Afghanistan, but Res. 1373 in particular did provide a leeway to the US to carry out military operations abroad. Res. 1373 places an obligation on all member states to “take the necessary steps to prevent the commission of terrorist acts”. It is the right of ‘self-defence’, primarily recognised under Article 51 of the UN Charter, coupled with this minor and arguably political leeway, which allows for States to carry out surgical/remedial strikes against non-State actors in the territory of another State This is in no way an act against the other State, but a remedial measure of one State in its own self-defence because of the failure of the other State to take effective measures to obliterate or put a check on terrorists activities in its own jurisdiction. In terms of State Practice when it comes to ‘surgical strikes’, the most prominently discussed strike is the one by Israel on an Iraqi nuclear reactor in Baghdad on June 7, 1981. The strike was without a warning or provocation. Israel reasoned that it feared the usage of a nuclear weapon against itself by Iraq considering how tense the situation had become politically. Now, on a logical plain, such a strike, even though unprovoked, can be justified to some level as had Iraq in any manner used a nuclear weapon then Israel would be physically annihilated from the face of the earth. But, such arguments derive their authority on an already weak premise of ‘anticipation’. Anticipatory self-defence is not recognised under international law. Israel’s attack was condemned by UNSC as violative of UN Charter, but as any student of international law would know, international law is seldom practiced with the same exactness and intent as how it is preached. UNSC merely condemned the attack but refrained from taking any measures against Israel. Can it be said to be an implicit acceptance to such acts? Israel in this case could obviously not have cited the war as a reason, as one illegality does not justify another. Self-defence is then the only plausible ground left. Also, in India’s case an attack in a specific region does not call for extreme military measures, but such a small scale and precisely designed attack can in some way fulfil the criteria of appropriateness (In light of the fact that there were no civilian casualties which are common in such incursions and the Indian army with the help of BSF made a special attempt to clear out the villages in a 10 km radius). The self-defence here which we are talking of is not exactly the one which occurs in pursuance of a use of force by a State against oneself or one in anticipation, neither traditional nor radical, but somewhere in between, thus, justifying its residence in the grey areas of international law. Such an act of active pursuance in self-defence has been termed as ‘hot-pursuit’ by academicians. ‘Hot-pursuit’ finds its origin in Law of the Sea, but has transcended into humanitarian law and international relations. In 1970, South Africa used ‘hot-pursuit’ to justify its frequent incursions into Angola’s territory. The incursions were to target separatists from the South West Africa People’s Organization, a group fighting for the independence of Namibia, which was then under South Africa’s control. After the end of civil war, in 1949 several Greek Communists fled to Albania. The then Greek government threatened Albania with a possible hot pursuit if it allows its territory to be used as a base by the Communists. In 1984, Soviet Union and Afghanistan threatened Pakistan that they would conduct guerrilla warfare in its territories if Pakistan did not cut-off support to the mujahideen. Hot-pursuit was again brought into the fore of State Practice in 1986, when Angola warned Congo about the possible consequence if the Congo does not take measures to stop the separatists of the Unita movement. The warning was, as in India-Pakistan’s case, with regard to Congo providing residence and training to the separatists. This forced the then Congolese President Mobutu Sese Seko to investigate the evidence presented by Angola. In all these cases, the sheltering State itself was not one alleged primarily, as is the case with India-Pakistan, but the other State’s sovereignty could have been undermined only till the extent and purposes that it provided passive assistance to the terrorists. Even when it comes to India, India-Myanmar had signed a security agreement in 2010 whereby India, in acknowledgement of the doctrine of hot-pursuit, could enter Myanmar’s territory for security purposes. Thus, there can be seen to be some scope of an executive/political agreement between States to allow for hot-pursuit, which in this case is not there expressly. But considering State Practice and UNSC condemnation of such crimes this allows for tacit allowance. The Simla Agreement was signed by Prime Minister Indira Gandhi of India and President Zulfikar Ali Bhutto of Pakistan to undo the effects of the 1971 war. The two countries agreed to respect each other’s territorial integrity and sovereignty and not interfere in each other’s internal affairs. The two countries also agreed to respect the line of control without prejudice to their claims and not alter it unilaterally. [..] neither side shall unilaterally alter the situation and both shall prevent the organisation, assistance or encouragement of any acts detrimental to the maintenance of peaceful and harmonious relations. While the Simla Agreement does not give India an express right to conduct surgical strikes in the Pakistani side of the Line of Control, India’s actions do not run afoul of the Agreement so long as there is no unilateral attempt to modify the line of control. At present, there is nothing to suggest that India is challenging the existing line of control or it plans to do so. India has maintained that these surgical strikes were based on “specific and credible inputs that some terrorist teams had positioned themselves at launch pads along the Line of Control to carry out infiltration and conduct terrorist strikes inside Jammu and Kashmir and in various metros in other states”. ( See India’s Director General of Military Operations’ statement). Considering the ‘non-illegality’ of the doctrine of hot-pursuit, India’s act does fall within the confines of international law. In India’s case, the action was not taken in a void, but as a retaliatory-remedial measure in pursuance of self-defence. India itself admitted that multiple attempts to undermine peace have been successfully foiled by Indian forces, the ones which failed were the Pathankot incident and Uri attacks. Since Pakistan denounced the very existence of a surgical attack by India, India’s argument comes back to the same point of it un-equivocally being confident of terrorists being harboured in the territory of Pakistan and getting assistance there. This when seen in light of the recent increase in terrorist activities in Kashmir and the international community’s condemnation of Pakistan’s failure to contain such terrorism makes India’s surgical strike a legal one. This article is fundamentally flawed. – “neither side shall unilaterally alter the situation and both shall prevent the organisation, assistance or encouragement of any acts detrimental to the maintenance of peaceful and harmonious relations.” Come on, do you seriously think that unilaterally carrying out a strike on Pakistani territory without Pakistan’s consent would respect this obligation? *Indian and Pakistani forces shall be withdrawn to their side of the international border. *In Jammu and Kashmir, the line of control resulting from the cease-fire of December 17, 1971 shall be respected by both sides without prejudice to the recognized position of either side. Neither side shall seek to alter it unilaterally, irrespective of mutual differences and legal interpretations. Both sides further undertake to refrain from the threat or the use of force in violation of this Line. *The withdrawals shall commence upon entry into force of this Agreement and shall be completed within a period of 30 days thereof. That said, Simla agreement has no dispute resolution clause and I am of the school of thought that the International Law is the vanishing point of jurisprudence. So I believe that except for WTO law which has a good system of enforcement and BITs which have a very flawed system of enforcement, all other international law (Simla agreement and all law in respect of the use of force especially) can be treated as guidelines rather than hard law because its only use is for diplomatic posturing and no binding enforcement is possible. Just like US strike to eliminate OBL, the legality of Indian surgical strikes simply doesnt matter. this write up has not clearly justified in terms international humanitarian law or jus in bello applicabilty. It has fail to justify as resolution 1373 is not enough as legality has to be justified in terms of law of war which has not been discussed.